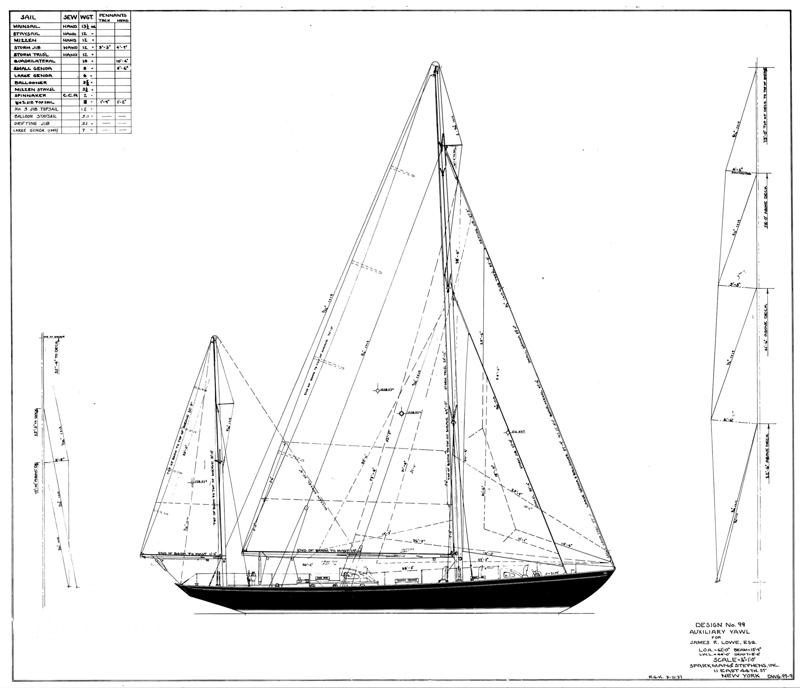 James Lowe of Grand Rapids, Michigan, and member of both the Chicago and New York Yacht Clubs, commissioned the young naval architect, Olin Stephens, to design him a yacht that could win the Chicago-Mackinac Race. 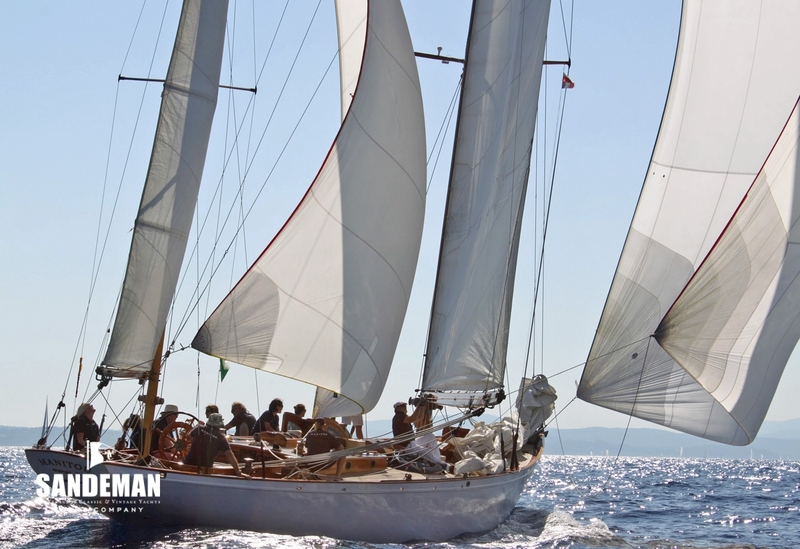 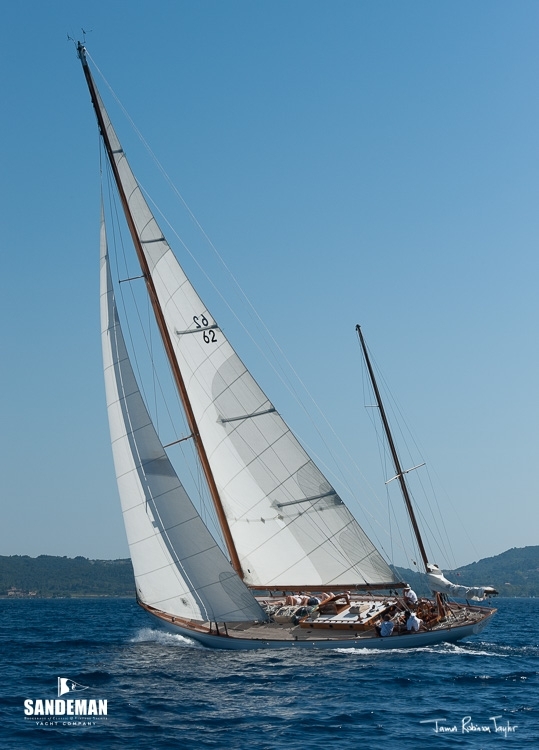 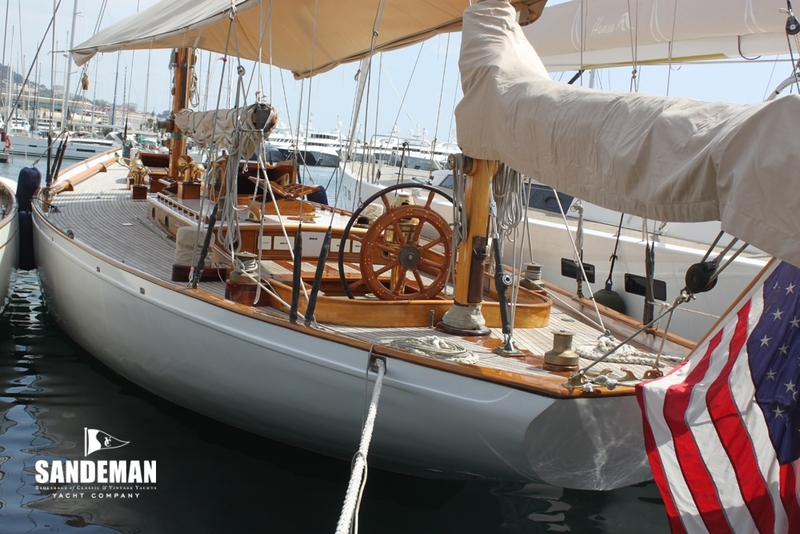 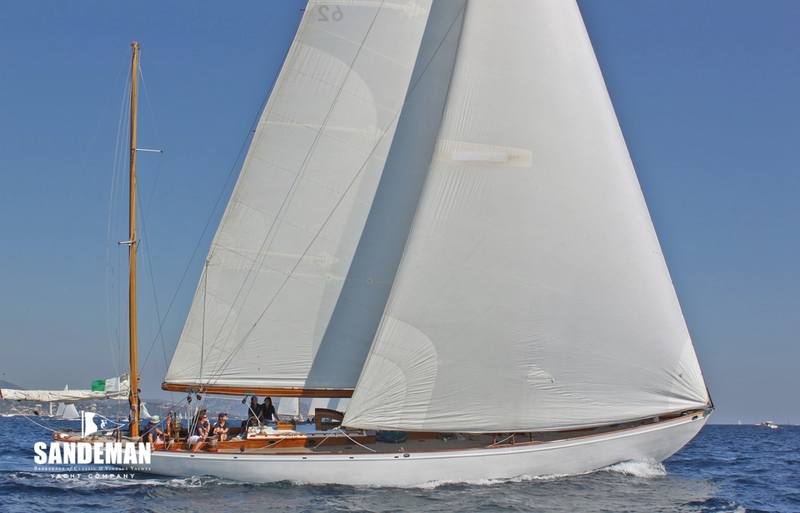 Named after the Manitou passage on Lake Michigan – and meaning “Spirit of the water”, she was launched in 1937 and in short order fulfilled her owner’s desire; breaking the elapsed time record and 1st across the line in 1938 - and winning handsomely on corrected time. 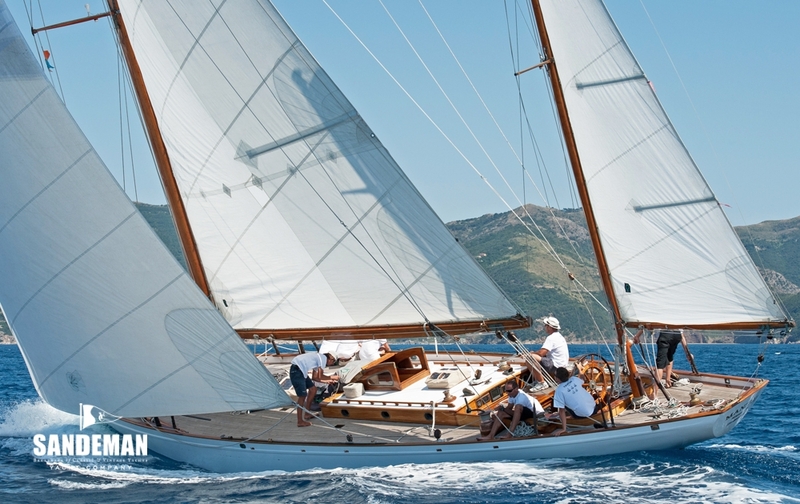 She was second across the line in 1939 but first again in 1940 and 41. 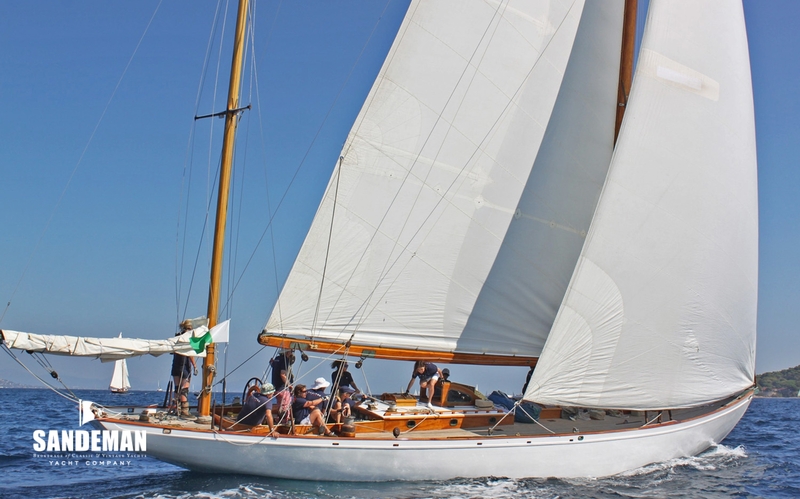 She also won the Port Huron-Mackinac Race in 1940 setting a new record for that race, taking almost two hours off the course record and beating her nearest rival by more than five hours. 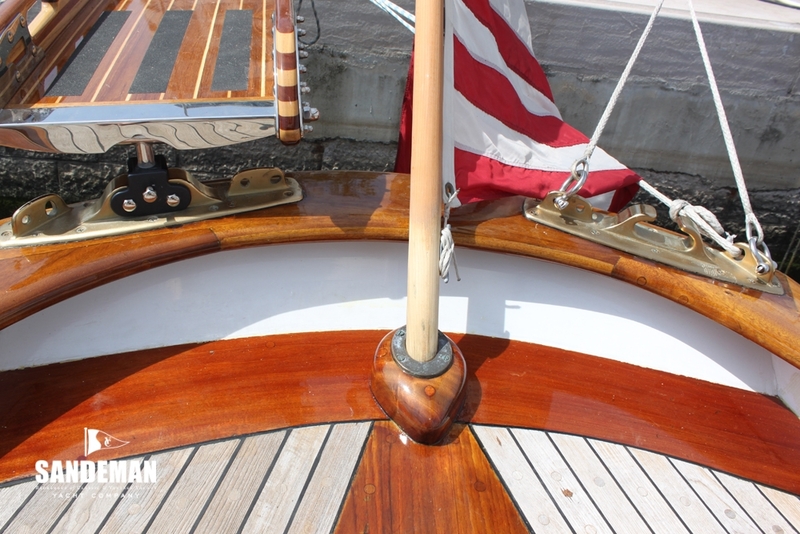 When Mr. Lowe was commissioned into the U.S. Navy in the summer of 1942, MANITOU moved on. 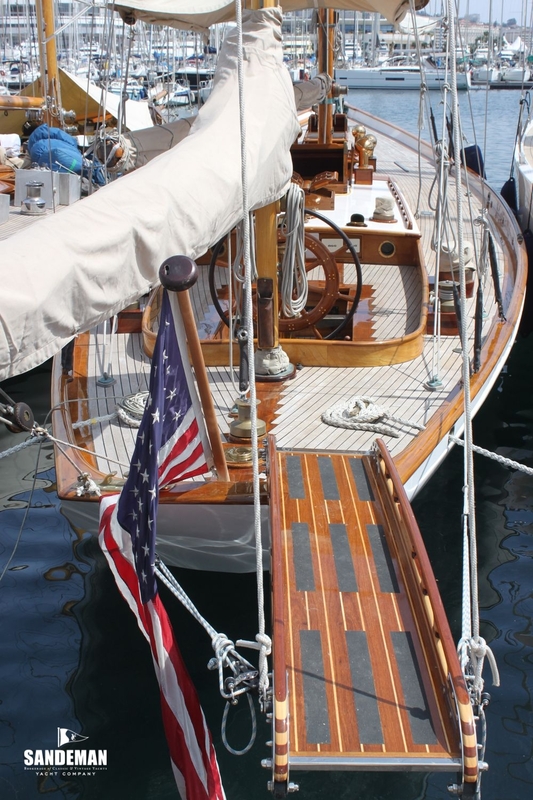 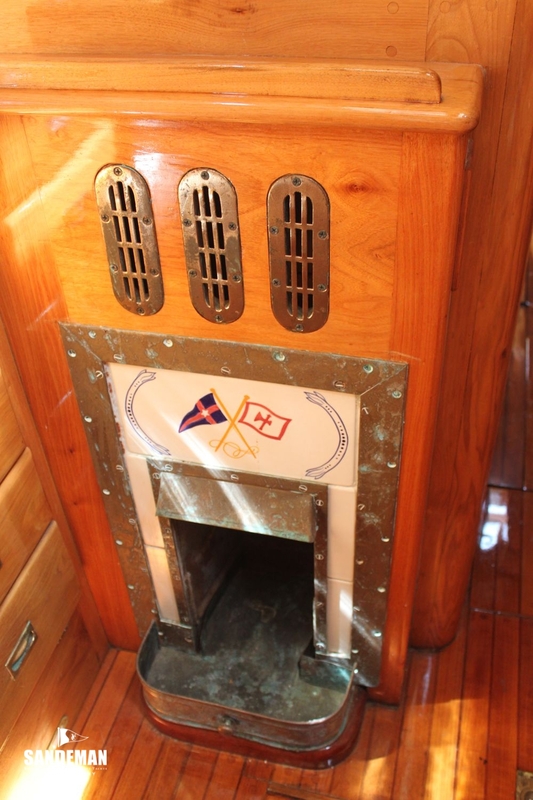 In 1956 she was donated to the U.S. Coast Guard Academy where she was used to teach the cadets sailing, seamanship and how to work together as a crew. 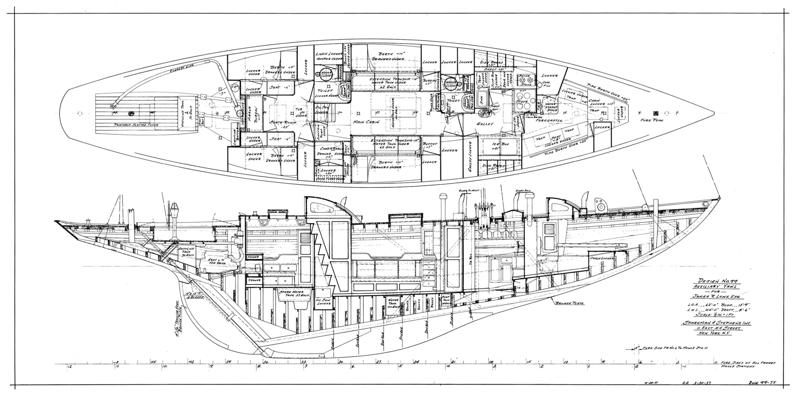 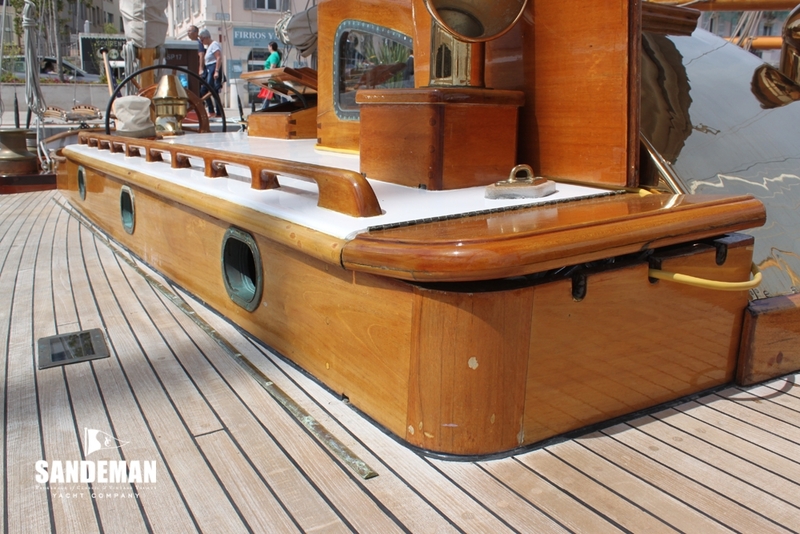 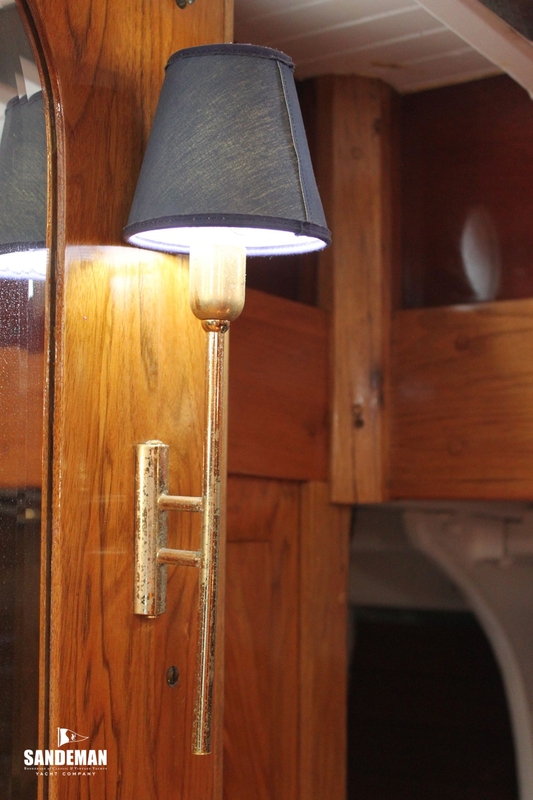 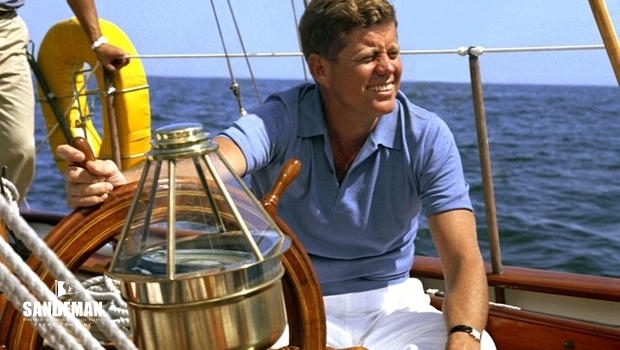 At the time of John F. Kennedy’s election, the Presidential yacht was a 92 ft power boat. 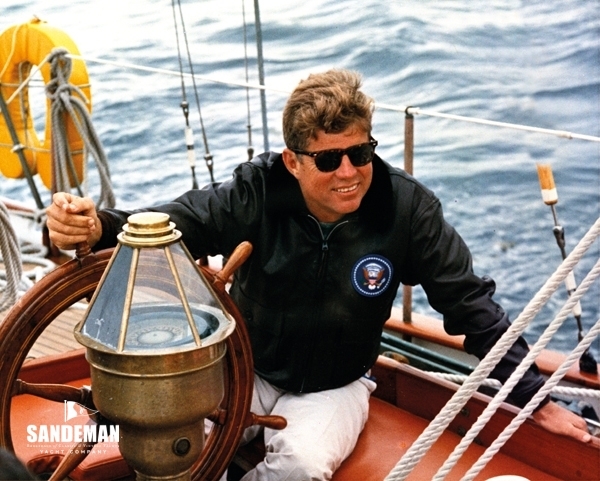 Although he changed her name to “HONEY FITZ” in honour of his grandfather; JFK was really a sailor at heart and sent naval aide John Tazwell in search of a suitable sailboat for presidential use. 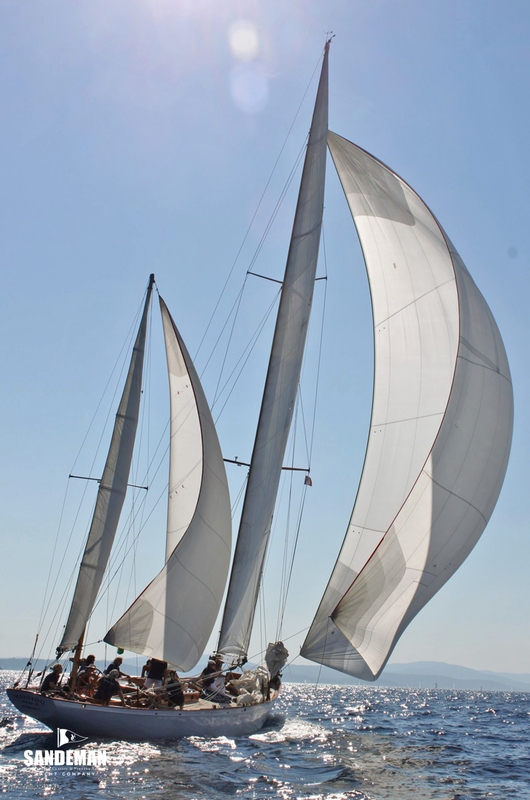 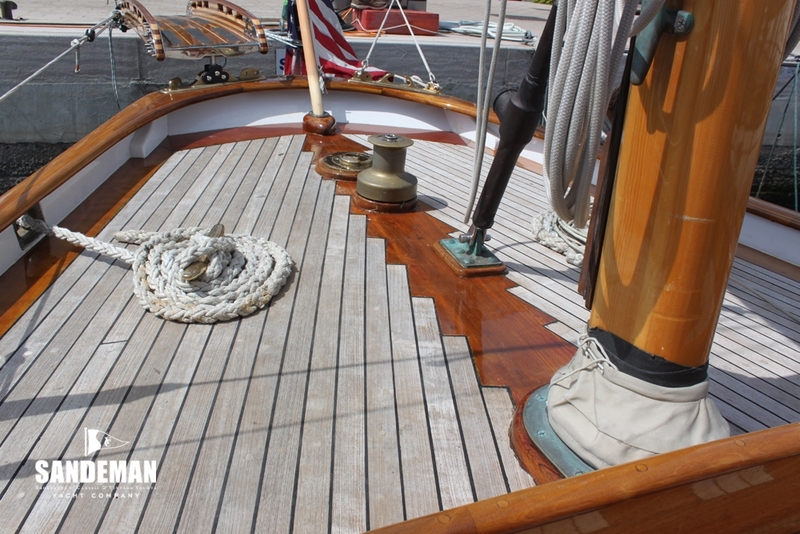 With her good looks and pedigree, MANITOU was quickly selected and brought to Chesapeake Bay. 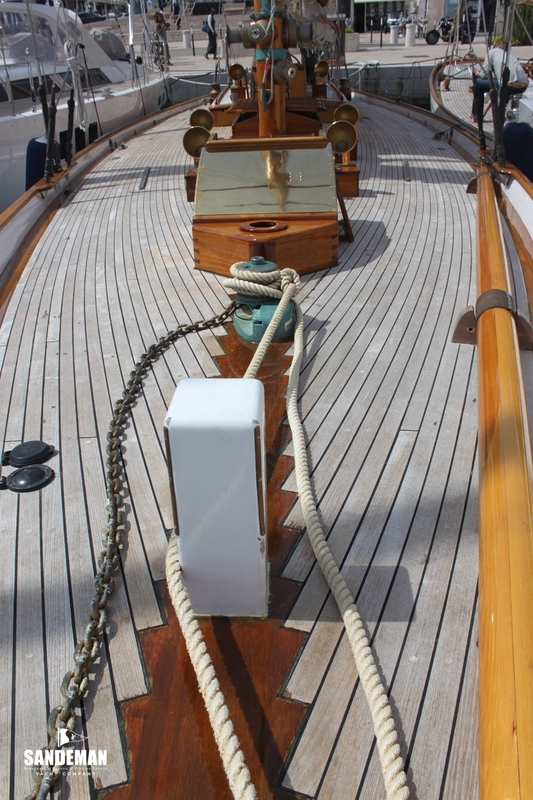 Among other things she had to be fitted with all the communication equipment to ensure the President would never be out of touch with his office - or even indeed the Kremlin while on board. 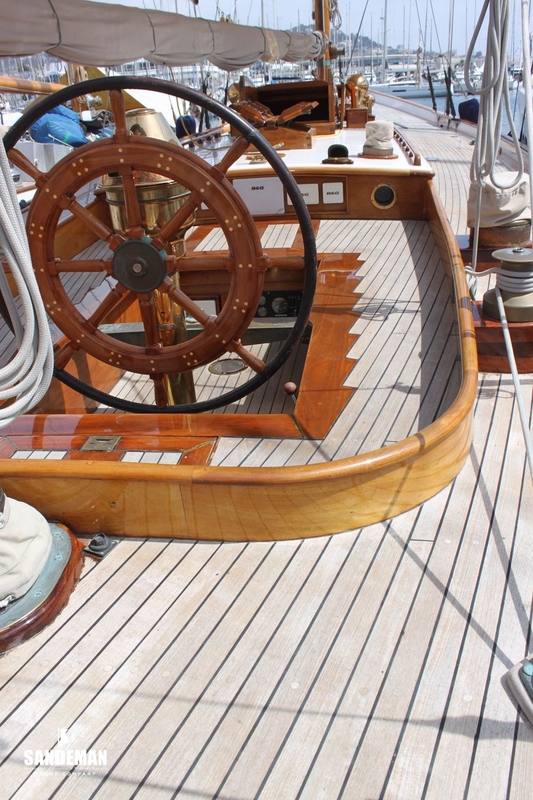 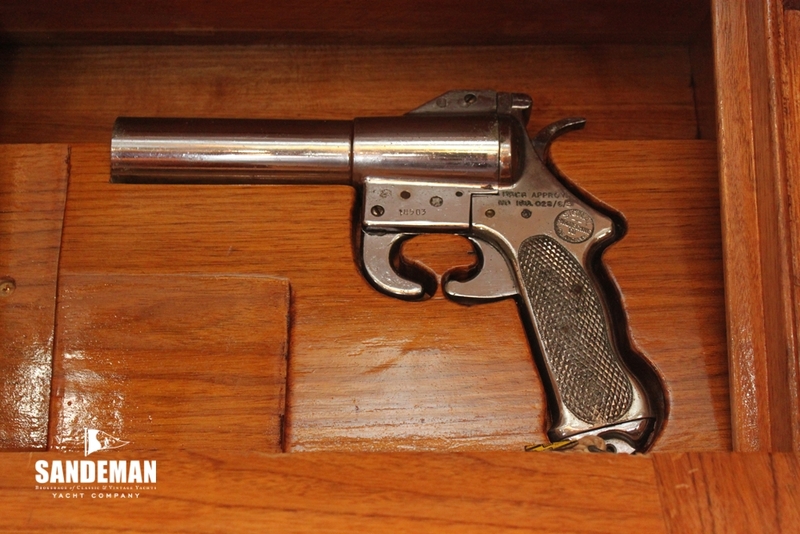 Jack Kennedy was to use her often there and in New England. 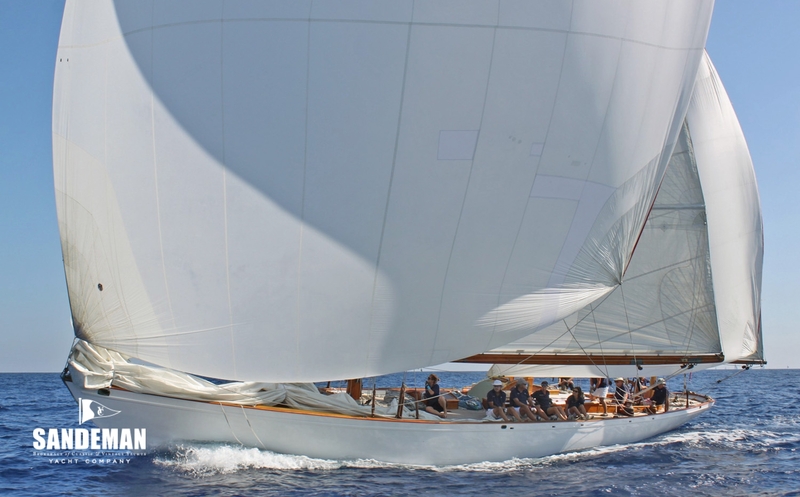 He never raced her formally, but once off Newport during the summer of 1962 he tried to engage his friend Emil “Bus” Mosbacher’s 12 Metre WEATHERLY in a friendly sparring match. 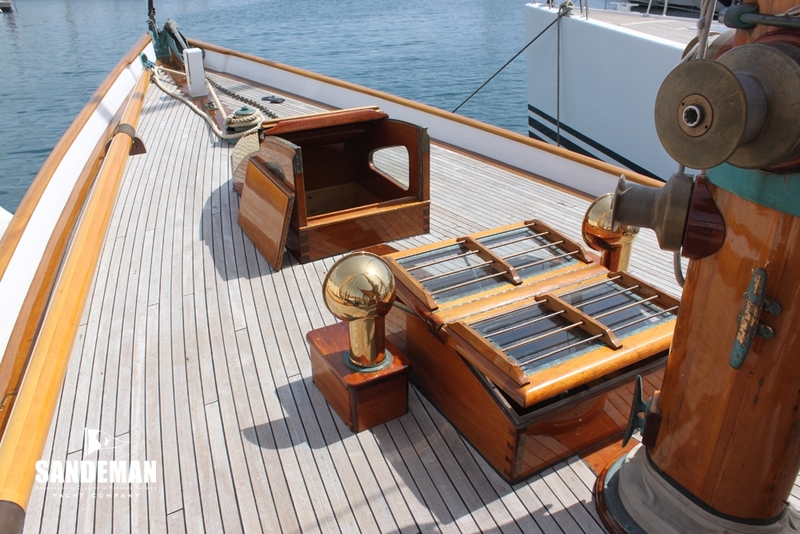 Unfortunately the Secret Service following in a patrol boat intercepted the future successful America’s Cup defender before she got close enough, much to the chagrin of the President. 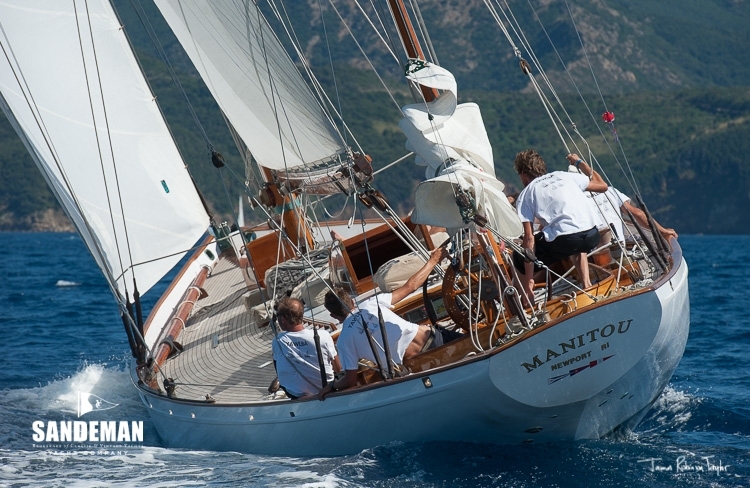 In 1968 MANITOU was auctioned to the Harry Lundeburg School of Seamanship, run by the Seafarer’s International Union under its then strong leader, Paul Hall. 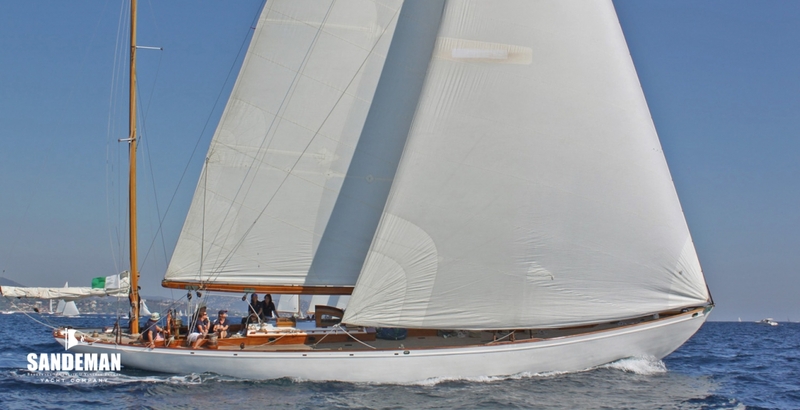 Aristotle Onassis, about to marry Jackie Kennedy in October 1968, sought to buy the yacht – apparently at any price. 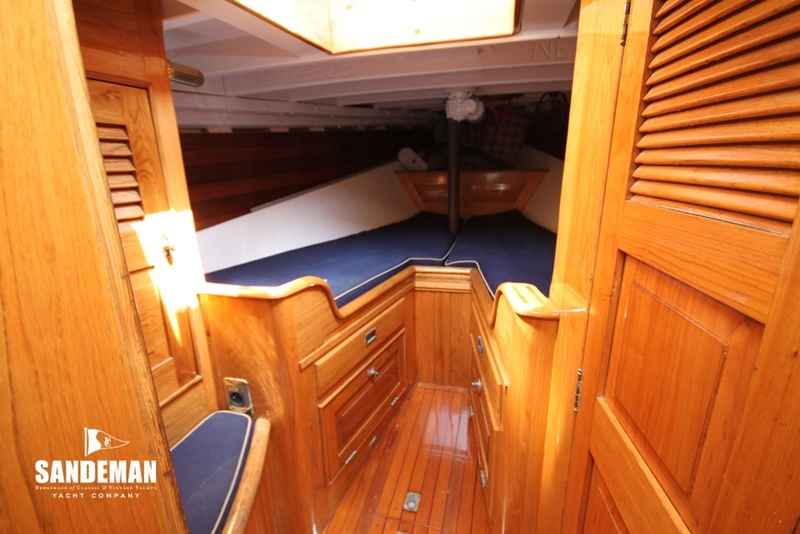 Long a defender of the common man however Mr Hall refused all offers, preferring to keep MANITOU for teaching less privileged young people about boats. 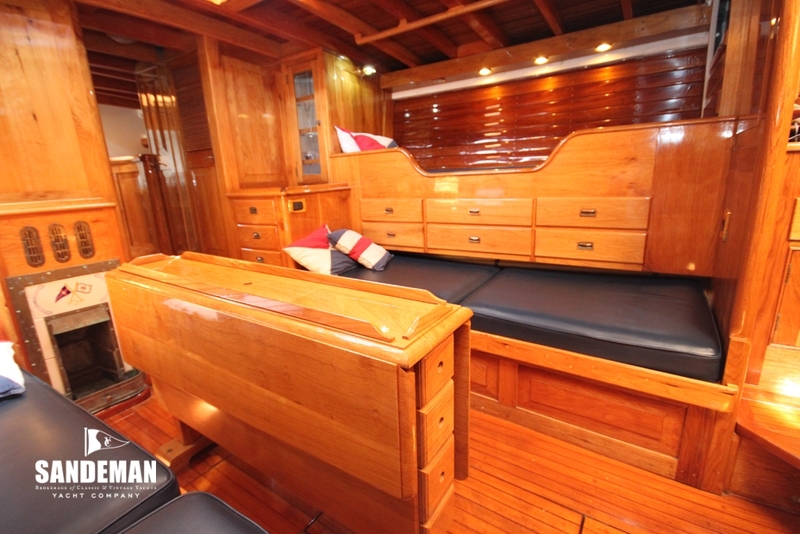 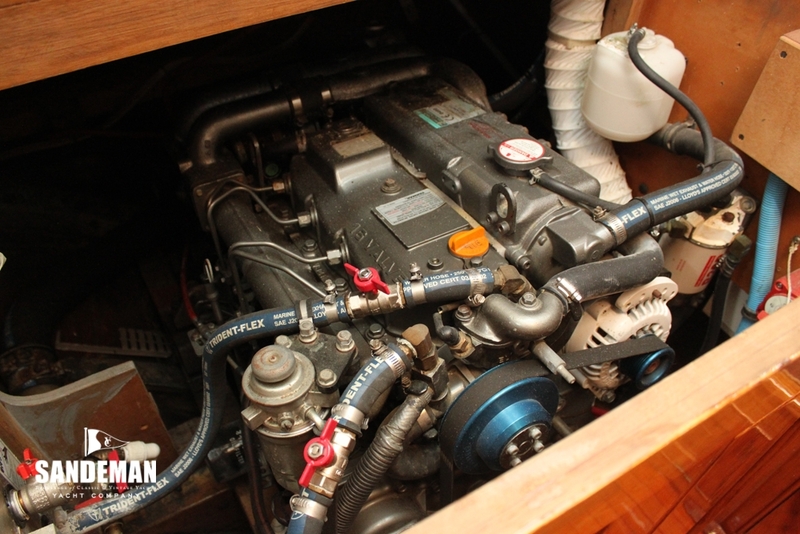 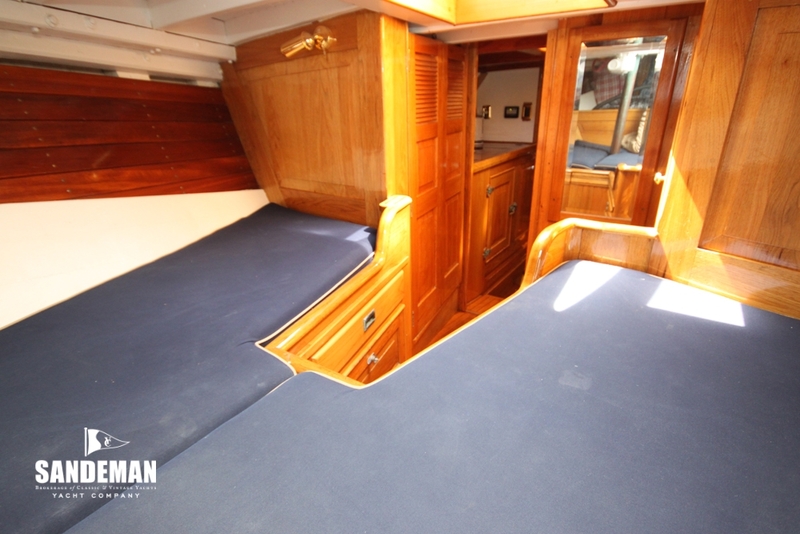 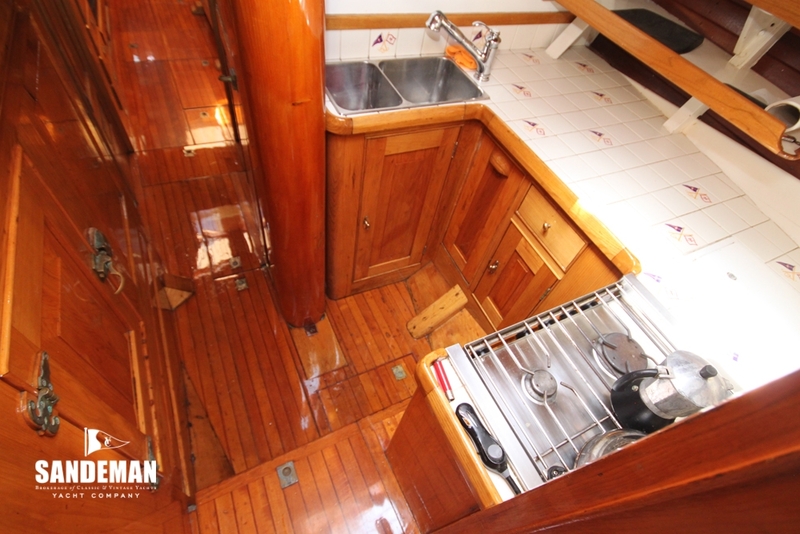 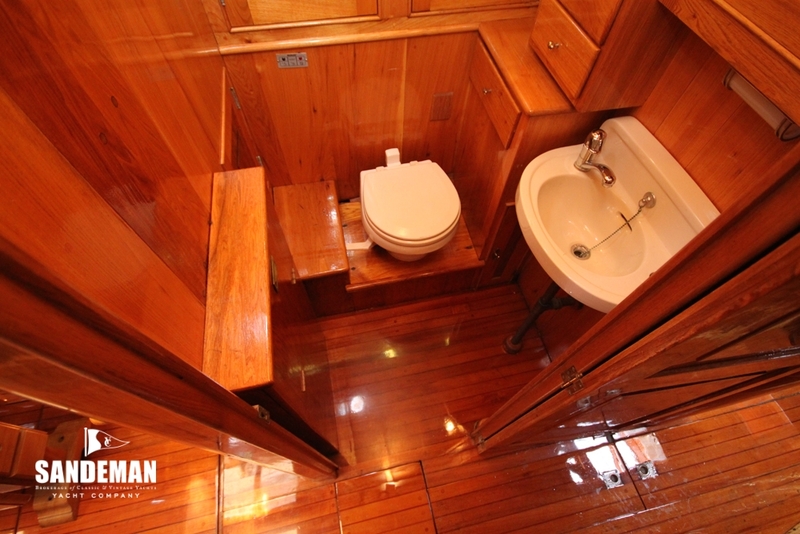 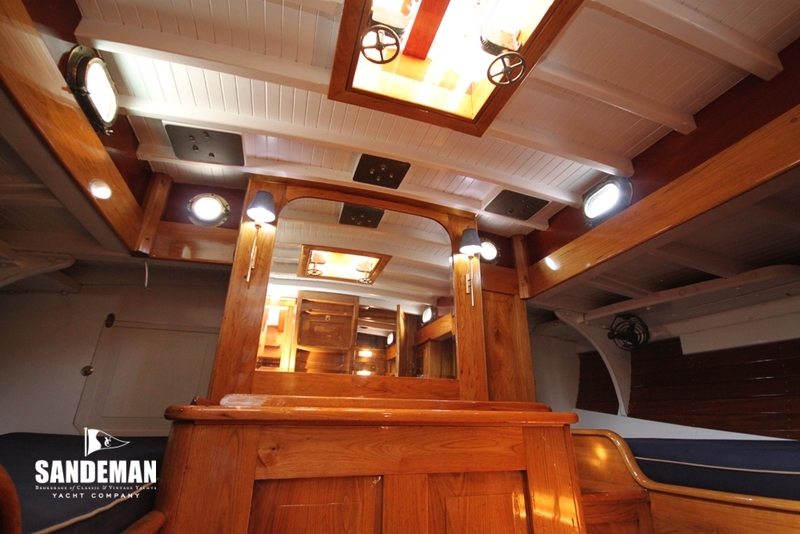 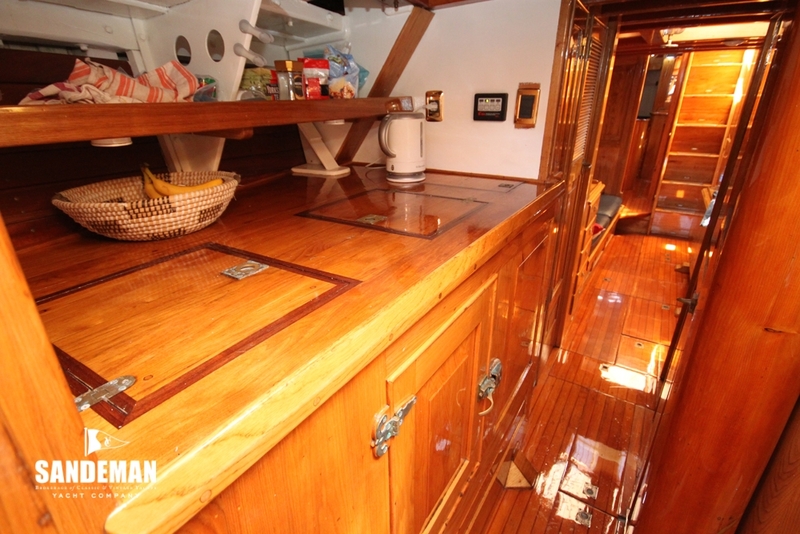 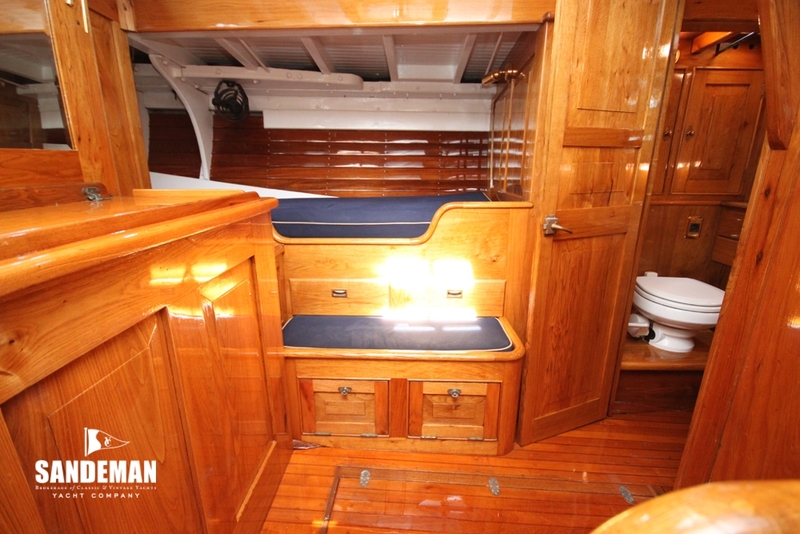 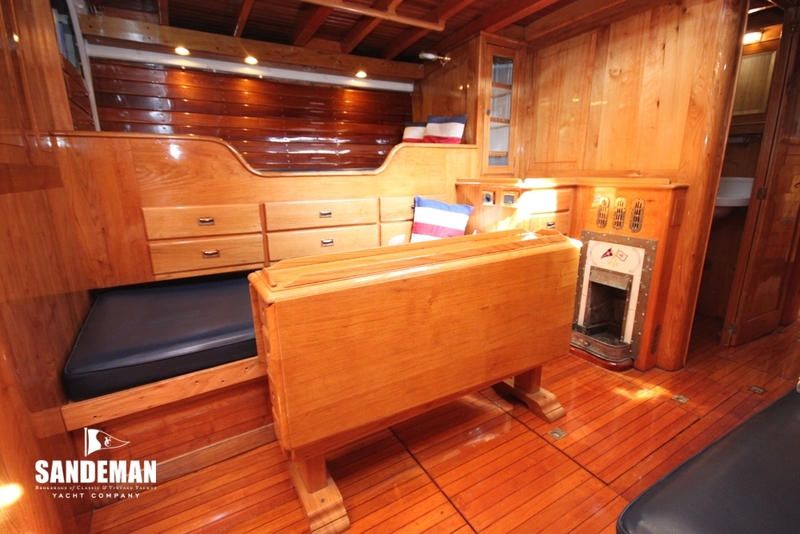 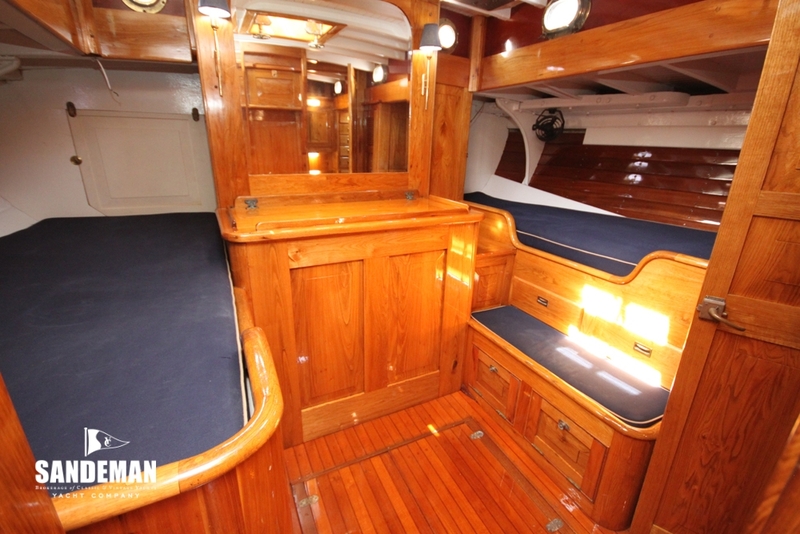 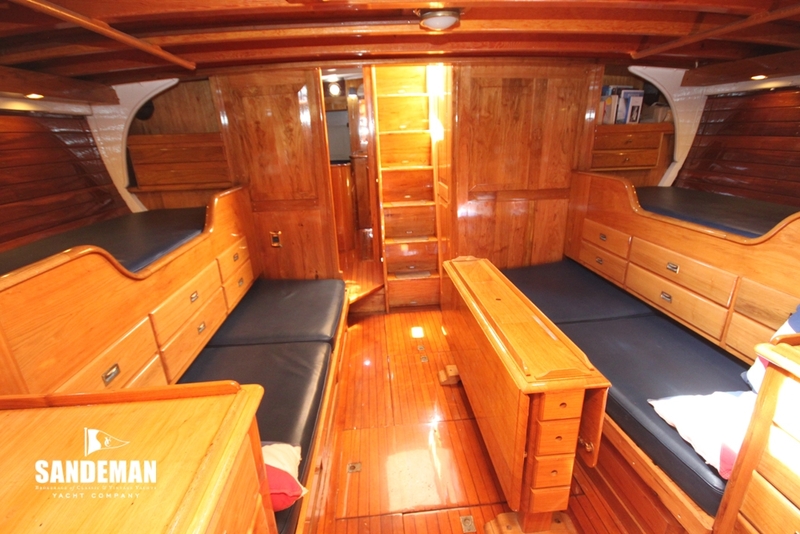 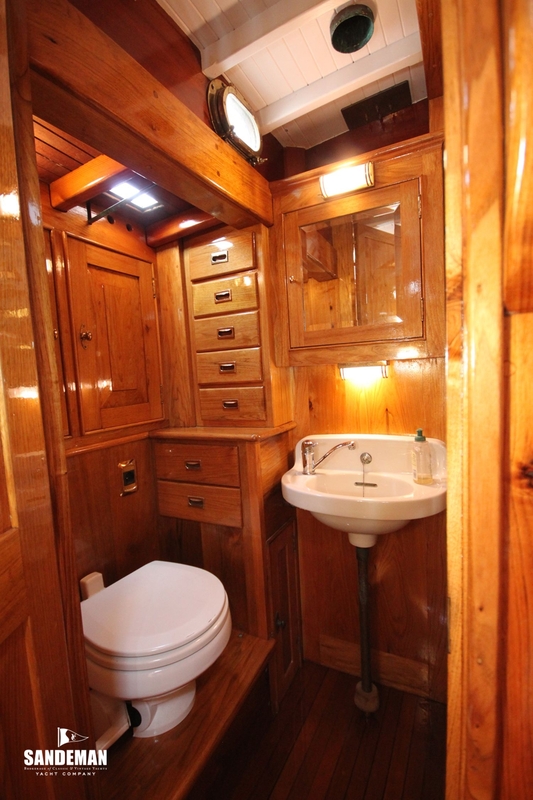 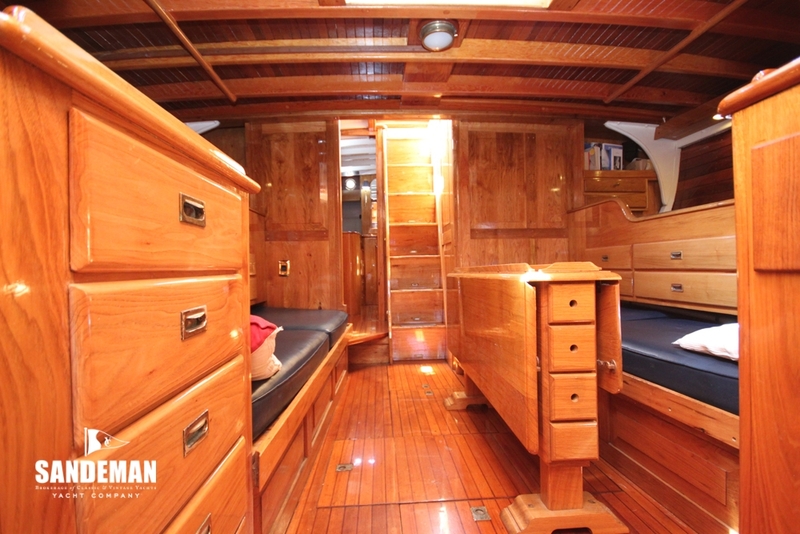 In the restoration of MANITOU great pain has been taken to keep her as original with butternut panelling and use of all the original hardware and fittings still with the boat. 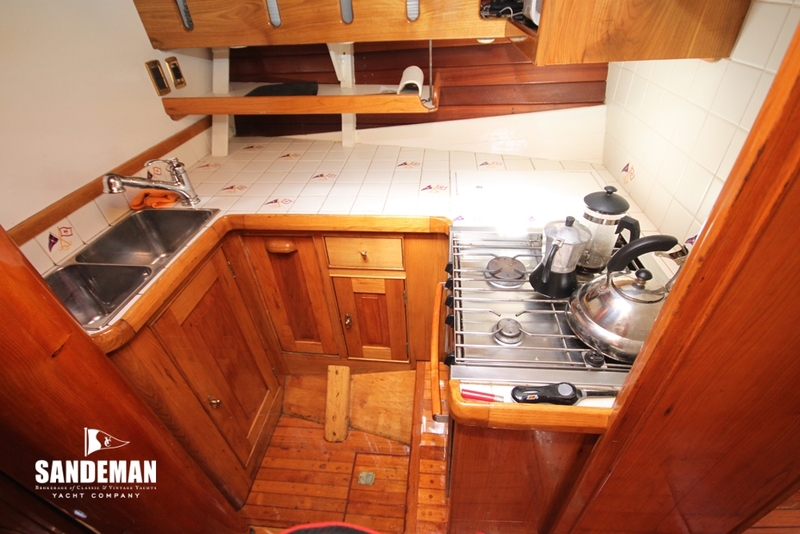 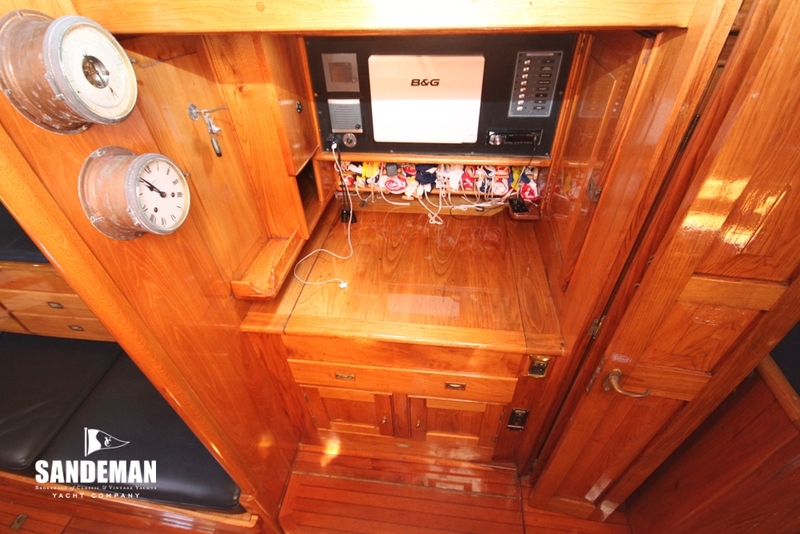 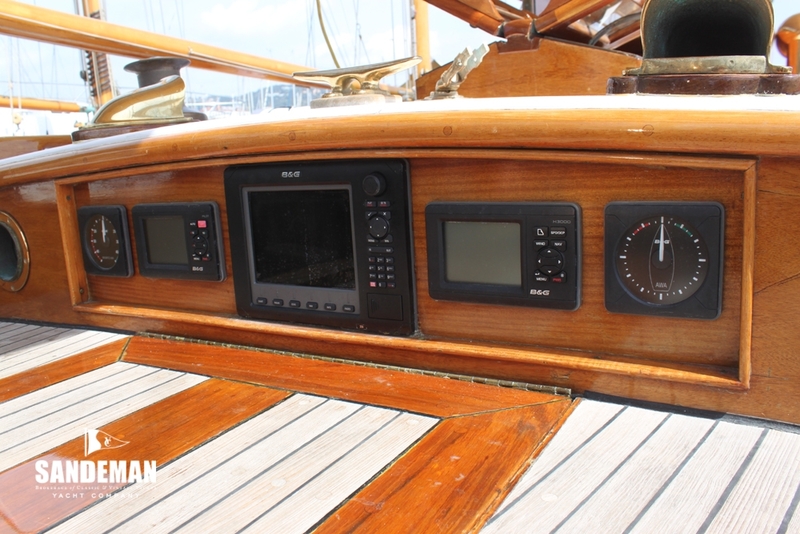 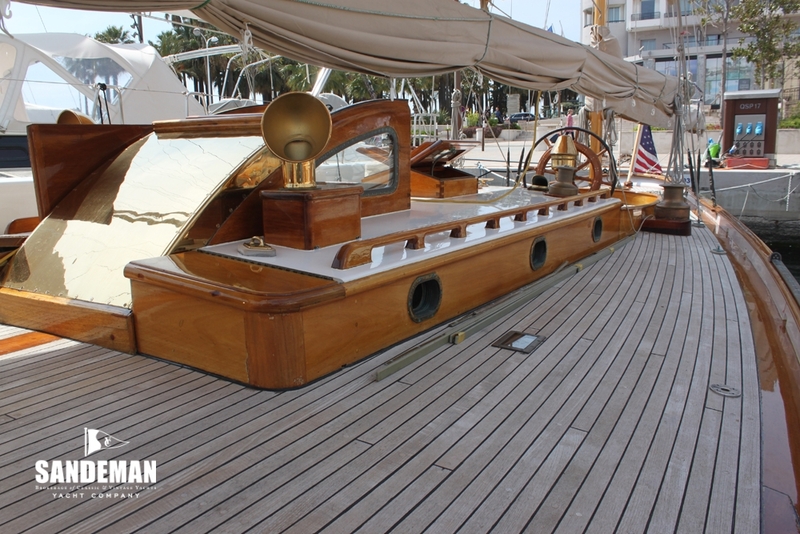 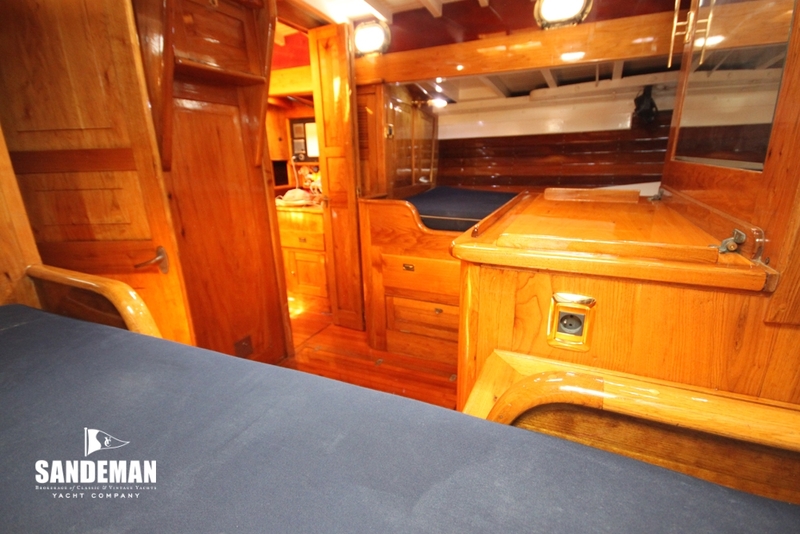 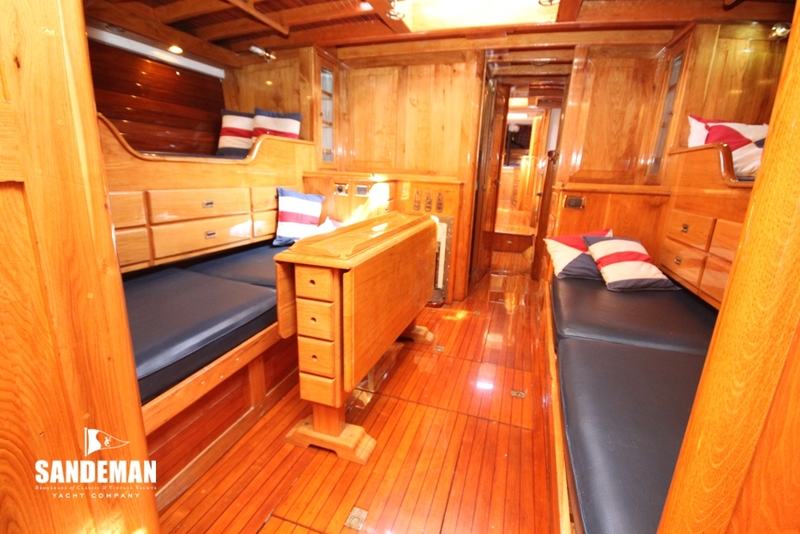 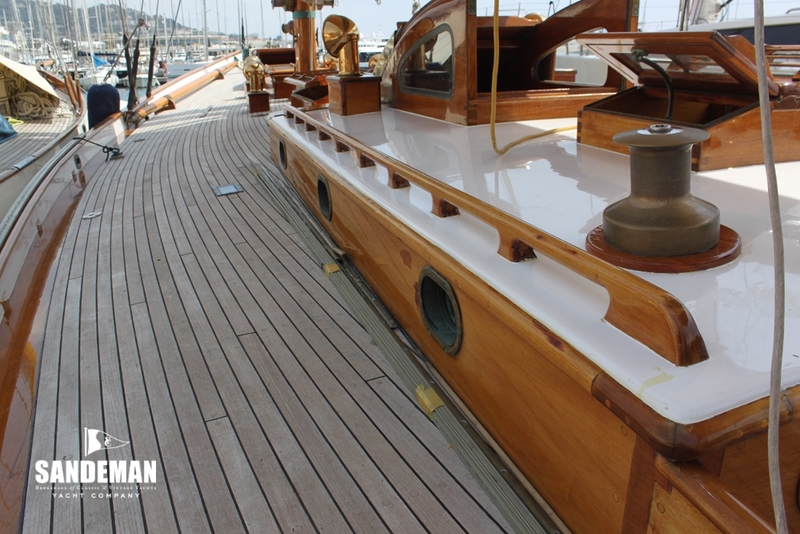 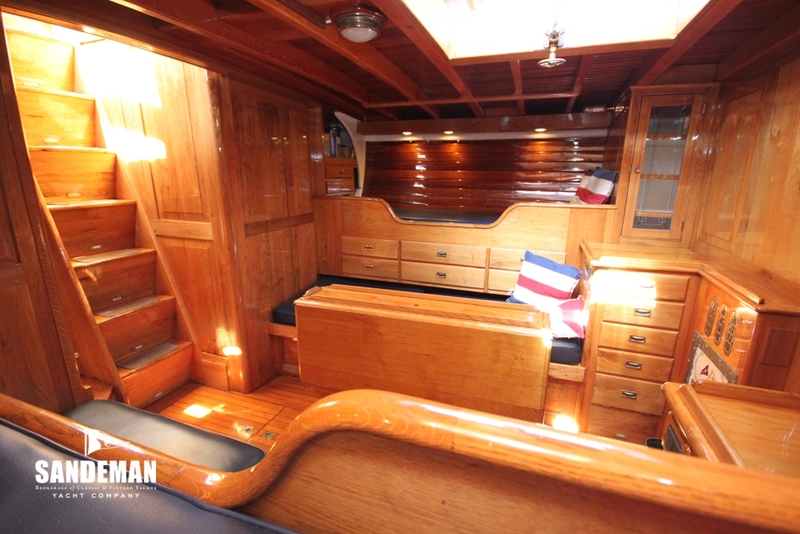 Nevertheless her deck and much of her hull planking have been replaced and her interior has been completely rebuilt and refinished. 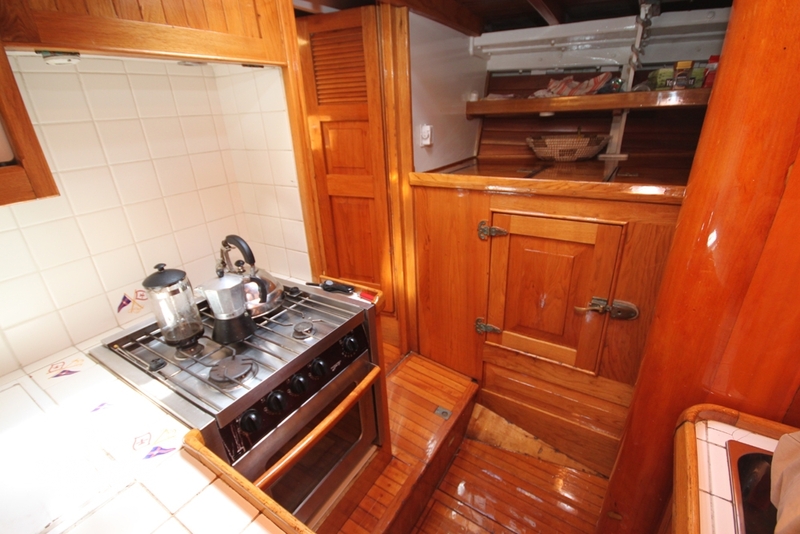 2010-11 Replaced stem, various planking, new plumbing, electrics, wiring. 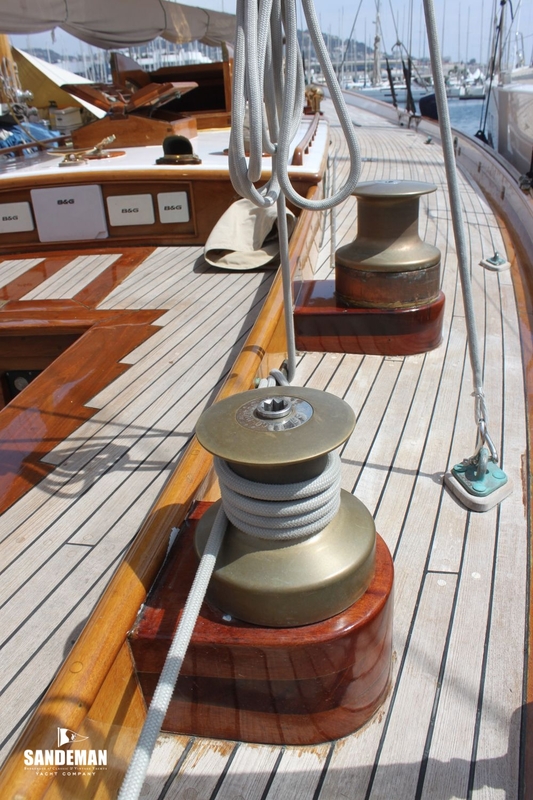 All standing rigging, all winches - primary winches only kept. 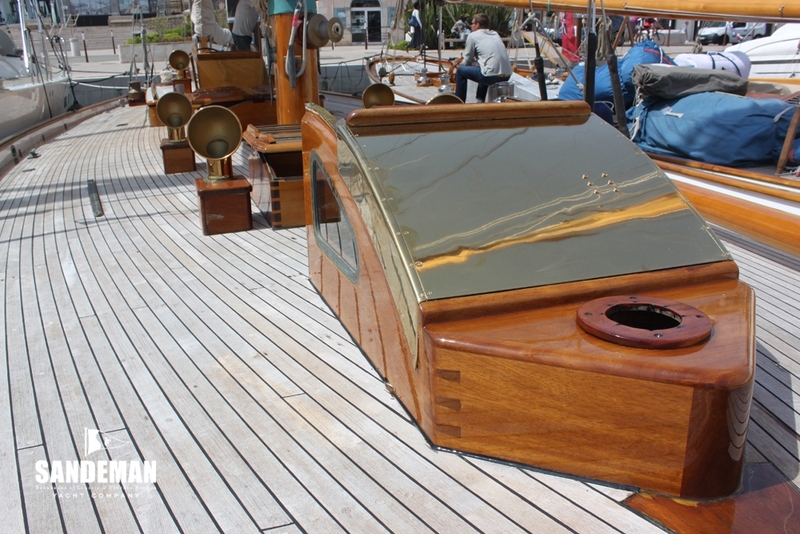 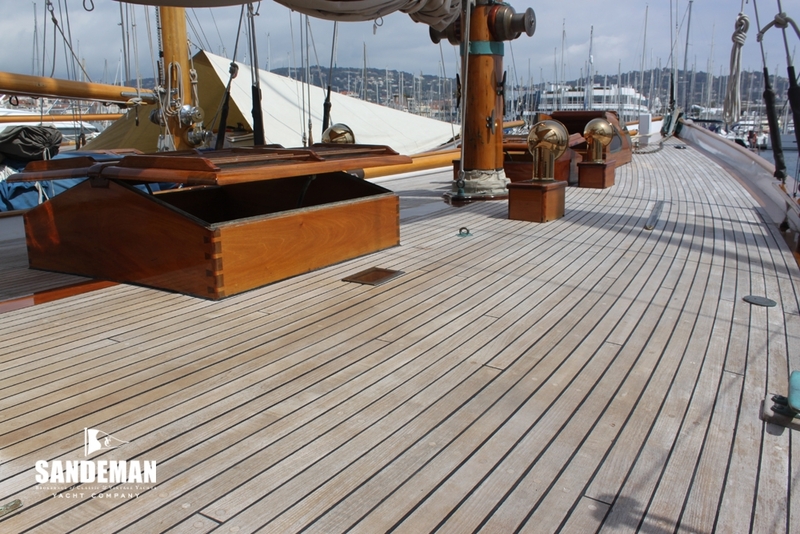 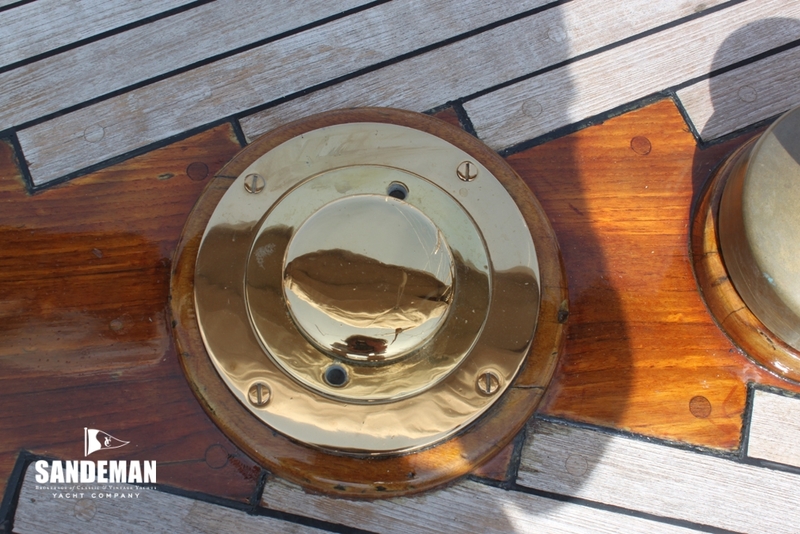 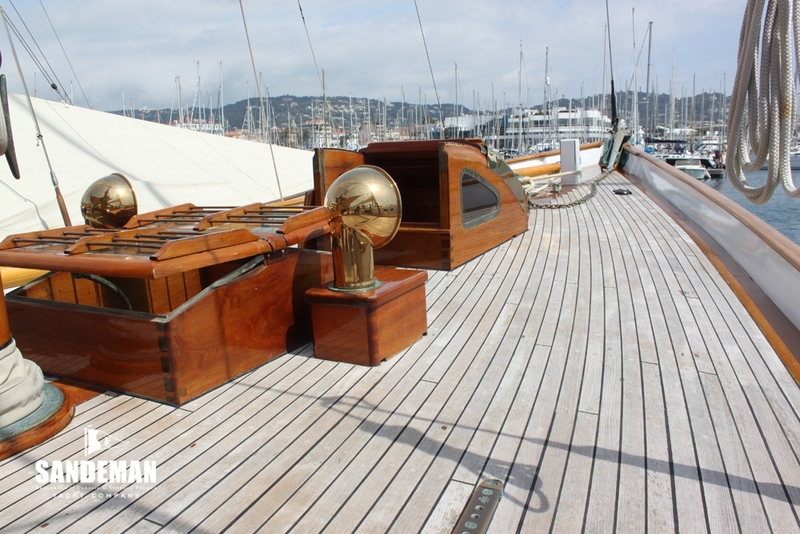 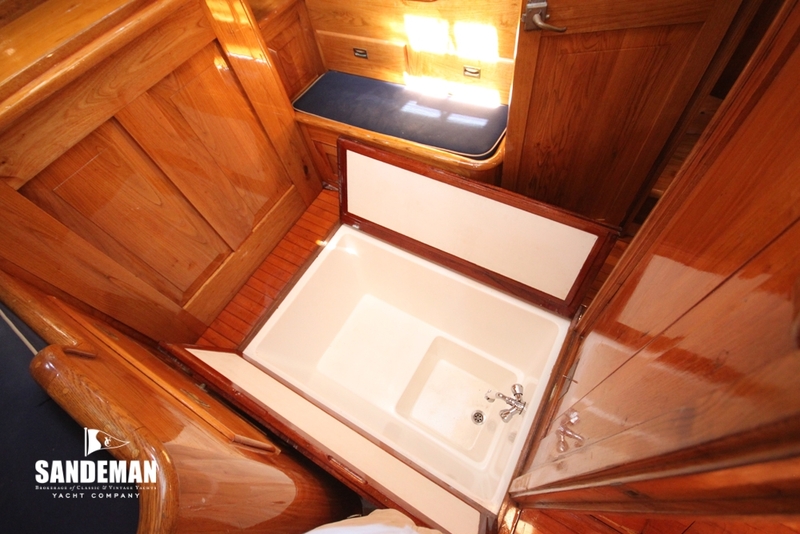 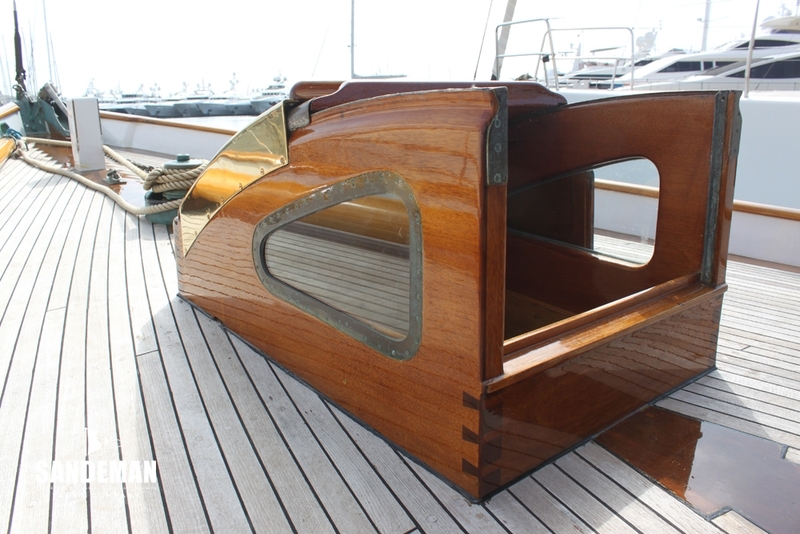 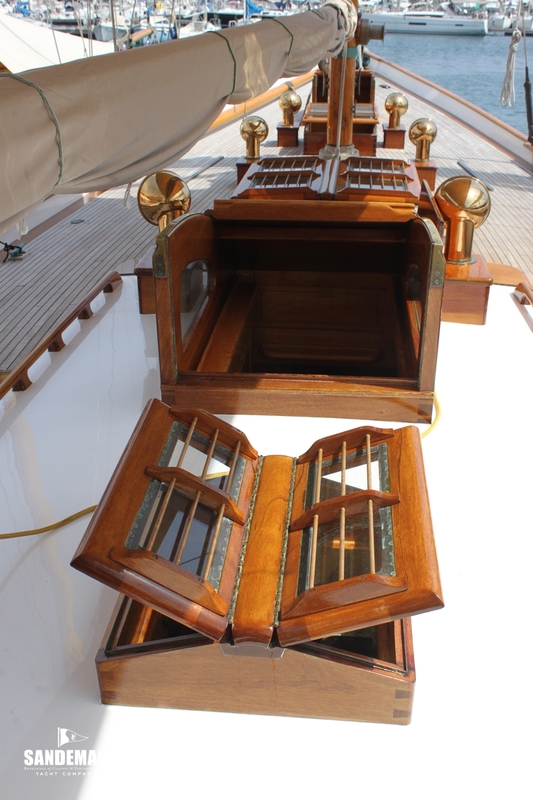 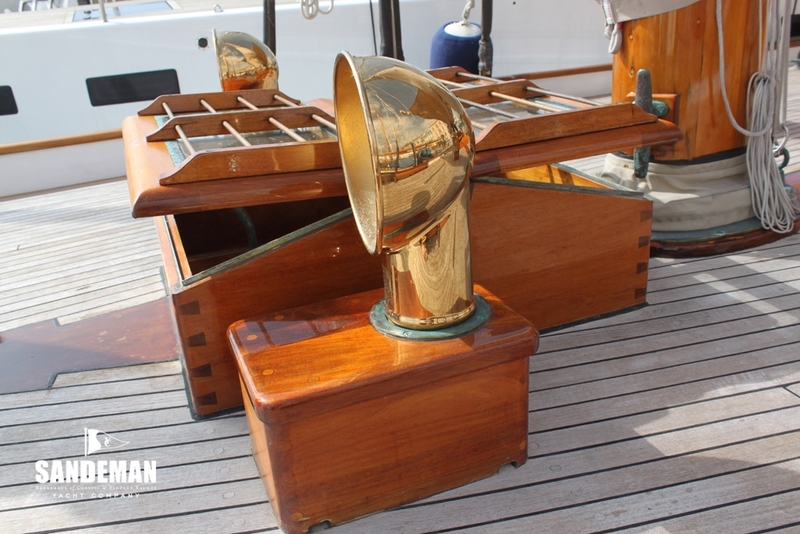 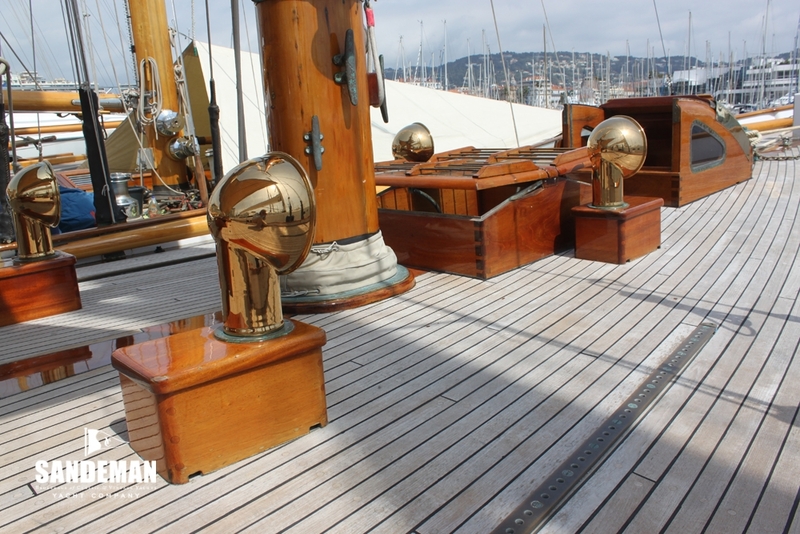 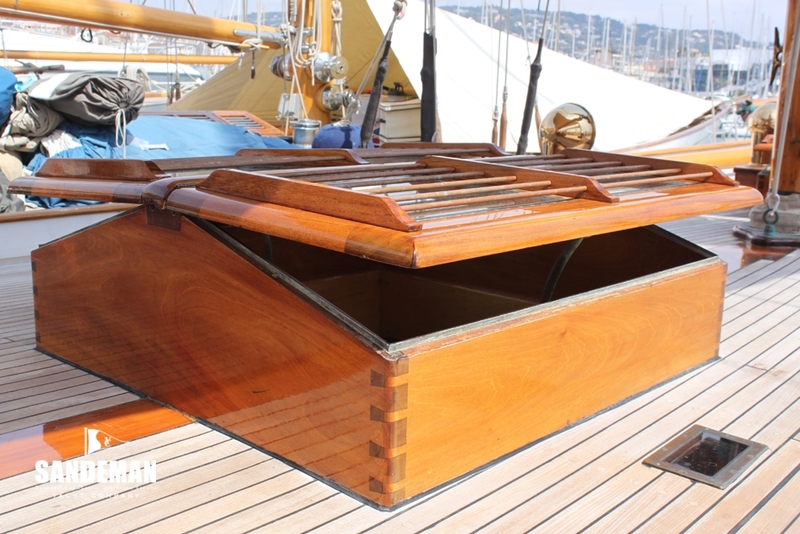 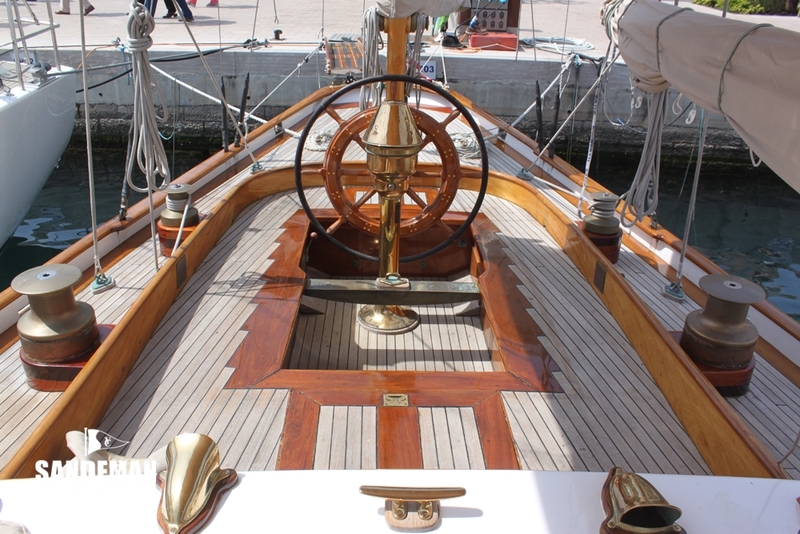 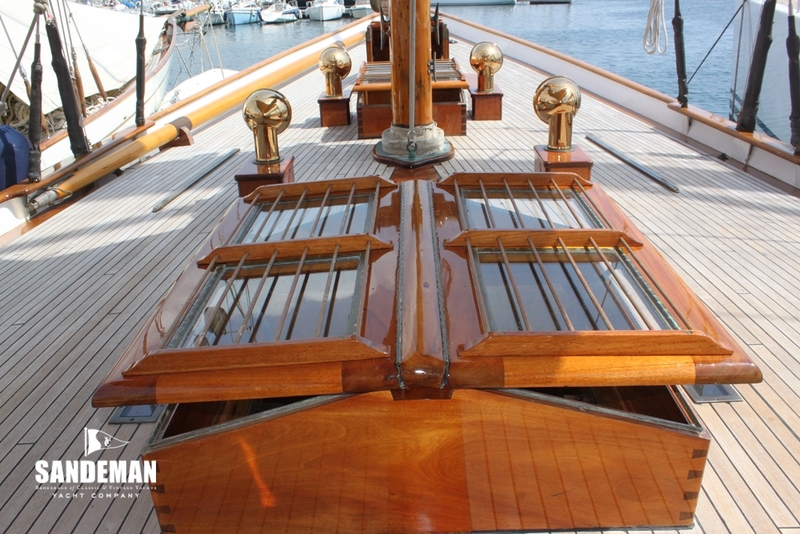 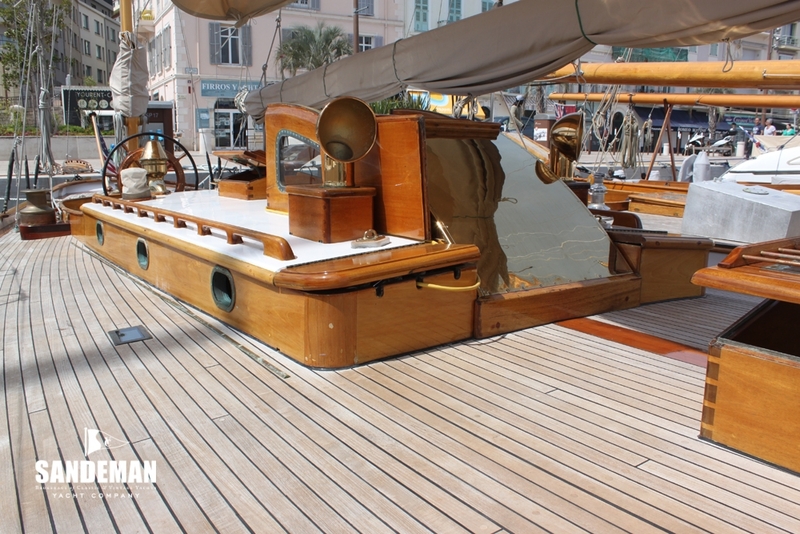 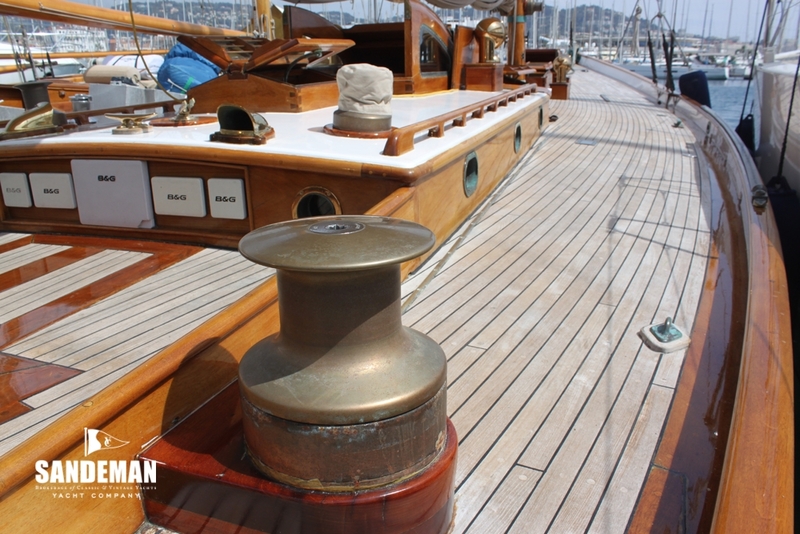 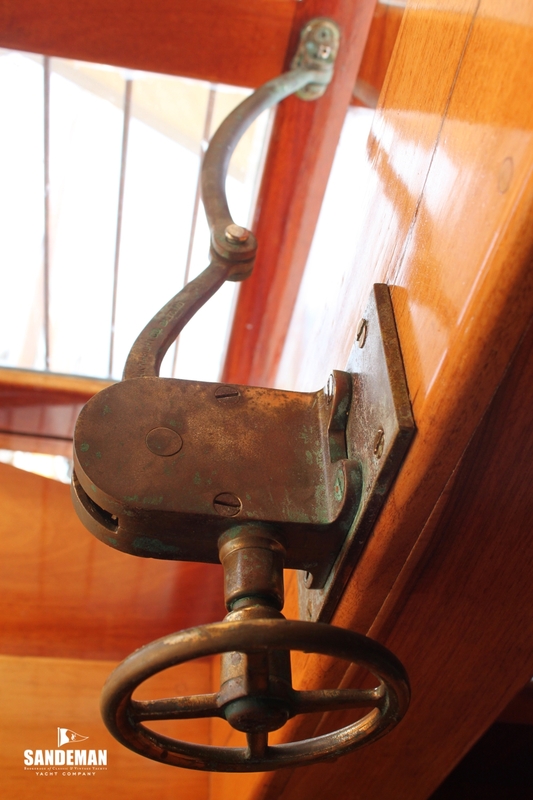 All deck fittings refurbished where possible or renewed, all spars stripped re varnished and fittings refurbished.